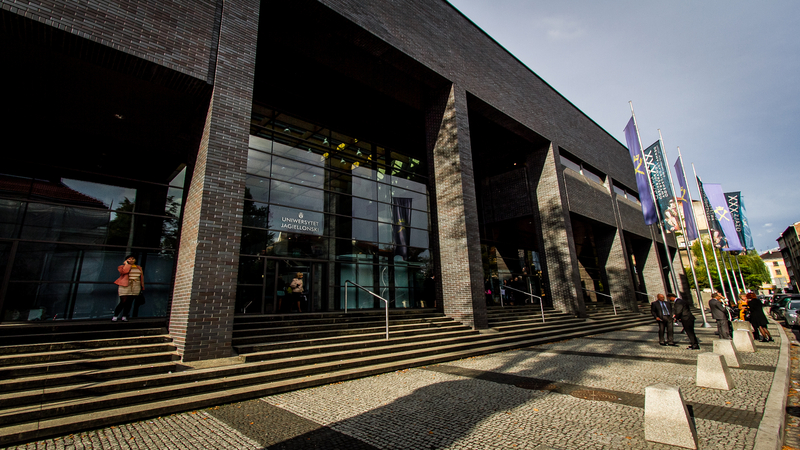 The conference will be held at the Jagiellonian University Conference Center "Auditorium Maximum" located at Krupnicza 33 street. Auditorium Maximum is a modern conference and teaching facility opened in 2005. It is located in close proximity to the city centre and most hotels. It features a number of rooms of varying sizes and functionalities. Among other amenities, participants will have a free wireless access to the Internet. Please check a virtual trip through the conference center (commands in Polish only). The Jagiellonian University is the oldest higher education institution in Poland and one of the oldest in Europe. It was founded on 12 May 1364 by the Polish king Casimir the Great. The Jubilee year 2014 marked the 650th anniversary of this remarkable event. Since its very beginning, the Jagiellonian University has been an international institution. Poles, Ruthenians, Lithuanians, Hungarians, Germans, Czechs, the Swiss, the English, the Dutch, the French, the Spanish, Italians, and even Tatars studied here in the old days. Some of the Jagiellonian University students and academics have been major historical figures, including world famous scholars, such as Nicolaus Copernicus or Karol Olszewski, as well as Karol Wojtyła, the future Pope John Paul II. Today, the Jagiellonian University comprises 16 Faculties, where nearly 4 thousand academic staff conduct research and provide education to over 40 thousand students, within the framework of more than 80 different fields of study. The eminent researchers and state-of-the-art infrastructure make the JU one of the leading Polish scientific institutions, collaborating with major academic centres from all over the world. The Jagiellonian University is also home to about 150 student societies, where young researchers pursue their academic interests and develop friendships with people who share their passion.